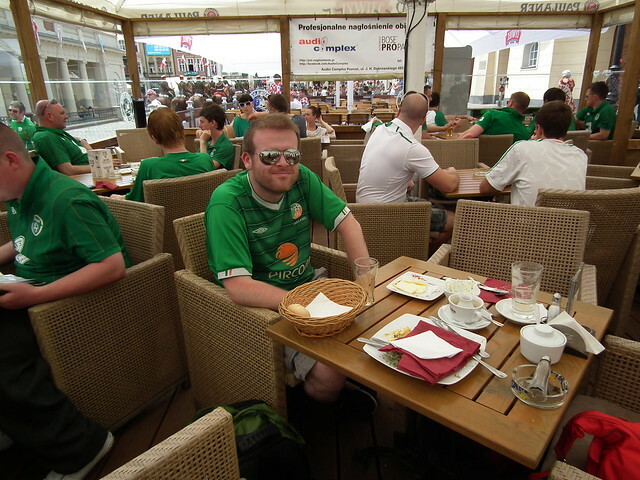 In honour of the last day of Euro 2012 today we bring you Damian’s impressions of our footballing experience in Poland. 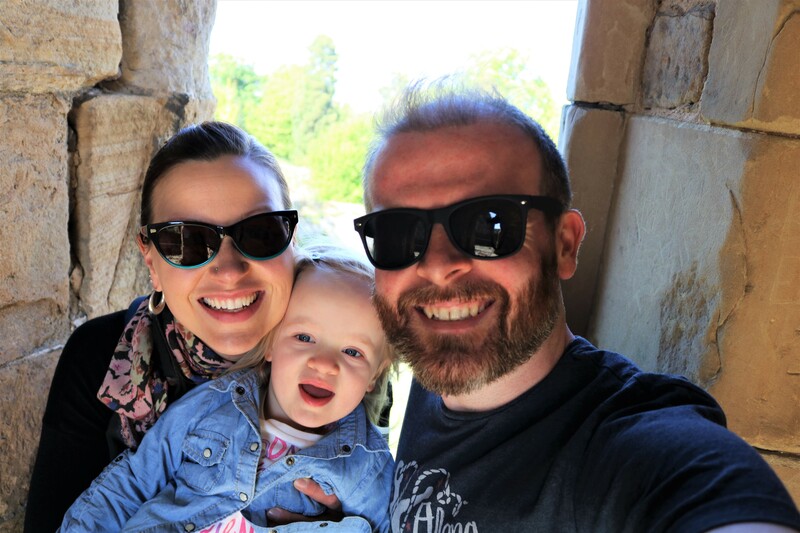 Going to watch Ireland play in the European Championships was the impetus for our most recent trip and it was certainly an experience for all! All greened up and ready to go! It’s probably fair to say that Ireland were the worst team in the tournament. We equalled the worst-ever performance by a side in the European Championship finals by losing all three games with a record of nil points and a negative goal difference of eight (joining Yugoslavia in 1984, Denmark in 2000 and Bulgaria in 2004 if you’re interested! )- so I suppose that’s an achievement of sorts! Incidentally, although Ireland were undoubtedly the poorest team on show in Polkraine, we weren’t the biggest underachievers; step forward The Netherlands, one of the pre-tournament favourites. If someone had told me prior to the tournament that we would finish the group stage with the same number of points as the Dutch, I’d have been delighted! Unfortunately things didn’t work out too well for the Oranje either. In spite of the disappointment of the team’s showing at the championships, I will look back fondly on my experience of watching Ireland at the Euros. We departed Berlin at 6:40am on the morning of the game and arrived into Poznan Glowny station at 9:20am after an eventful journey involving grown men dressed as Irish dancers, resplendent in curly blonde wigs and dancing brogues. 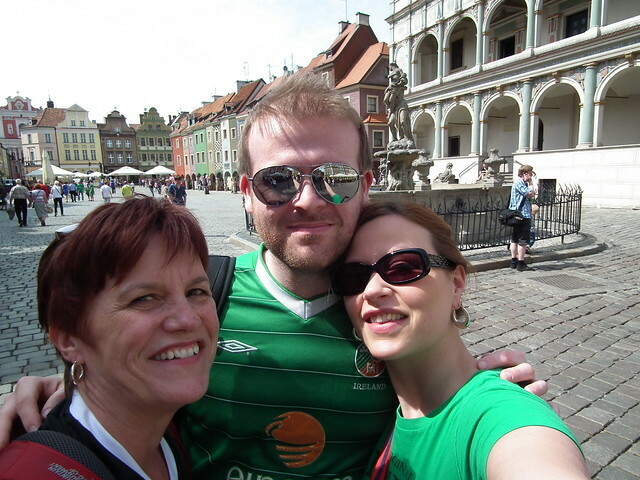 The station was thronged with excited Irishmen even at that early hour and we made our way to the city’s old town square to soak-in the atmosphere and indulge in the collective anticipation of the Ireland vs. Croatia match to come. Bathed in sunshine, the square was quite busy upon our arrival, but as we settled down to breakfast the area rapidly filled with fans from both nations and the merriment began in earnest. In spite of some fears of fan violence before the tournament, an air of camaraderie immediately descended over the old town square and revellers, Croatian and Irish alike, attempted to out-sing one another in an attempt to gain an early victory. I would say that the Croats took the early honours (though the use of a megaphone is cheating, surely) but as the day progressed even the boys and girls from the shores of the Adriatic couldn’t resist getting their shoes off for the boys in green! 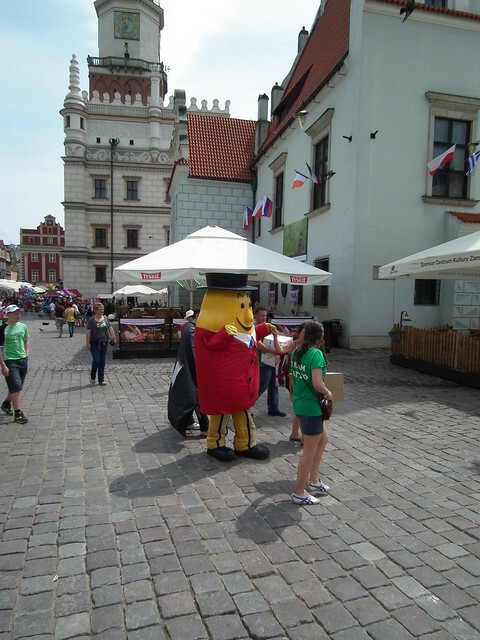 Even Mr Tayto made an appearance to keep the Irish spirits up (ask any displaced Irishman what they miss most from home and a packet of Tayto cheese and onion crisps will generally make an appearance!). After a number of cold pre-game beverages (incidentally, Polish beer is great and amazingly inexpensive!) we made our way to the stadium where the heavens opened for our arrival. We could only hope that this archetypal Irish summer weather would work to our advantage, but ultimately it would prove to be pathetic fallacy. As the fantastic Stadion Miejski began to fill up, the belief amongst the Irish seemed to grow that we could actually get a result here. The fans belted out Amhrán na bhFiann (the national anthem) with serious gusto and the game began. All the planning, saving, travelling, the hours spent on the abomination that is the Uefa ticket website, they had all led to this point. It took just three minutes for my worst fears to be realised when a speculative header from Mario Mandzukic crept inside Shay Given’s left post. This setback only served to encourage the fans to cheer even louder for the boys in green and, after 19 minutes, Sean St. Ledger popped up at the back post to nod-in Aiden McGeady’s free kick and as we all celebrated with ‘the Poznan,’ we hoped that the real Ireland would show themselves – the team that had been so difficult to beat in the qualifying tournament. 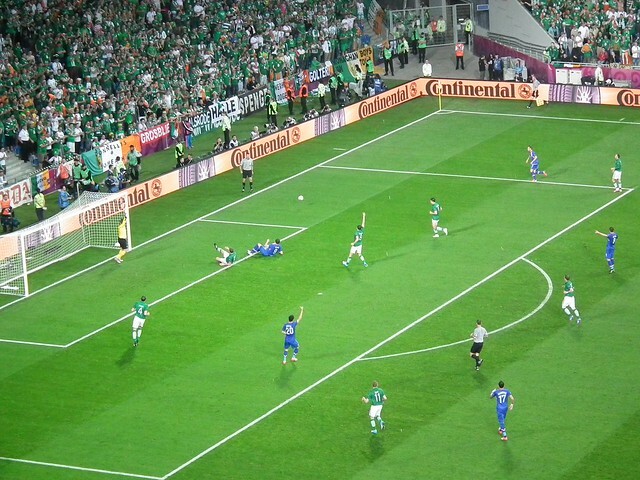 Alas, St. Ledger’s goal proved to the only footballing high point in Ireland’s tournament as our deficiencies were so remorselessly highlighted by the quality possessed by Croatia, Italy and, so crushingly, Spain. Soberingly (although not as sobering as the non-alcoholic beer that was on offer in the stadium), Croatia went on to win the match 3-1, but the Irish fans sang until they were hoarse in spite of this, a trend that would continue in the following games. In spite of Roy Keane’s not-so-veiled criticism of the fans’ unconditional support for the team, the Irish supporters were the shining light of this tournament. Despite the paucity of anything to cheer on the pitch, we supported the boys through thin and thin and were proud of the fact that, against the odds, they’d even gotten to this stage. We’d paid good money to get there during tough times and weren’t going to let the football get us down. 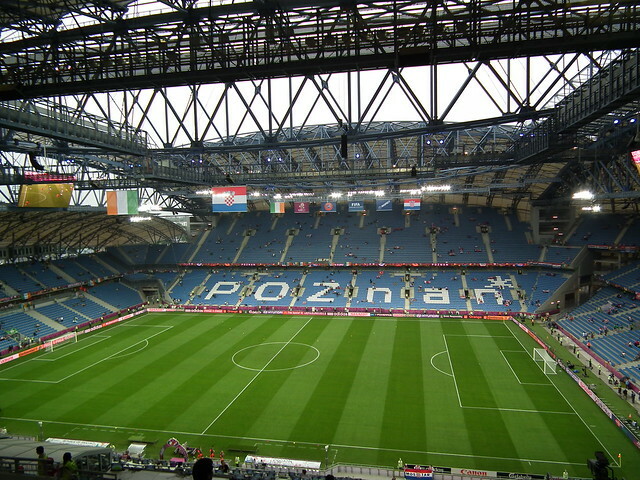 As it transpired, the roads in Poland were much rockier than the road to Poland and while the old chant ‘You’ll never beat the Irish’ may not have applied to the football team on this occasion, the supporters certainly upheld the reputation.